It seem so restrictive. It seems so impossible. It seems so…yuck, right? Learning how to budget may seem like a daunting task…but it doesn’t have to be! Creating a budget that actually works is a relatively simple process that can change your financial life forever. Maybe you’ve tried budgeting before and failed. 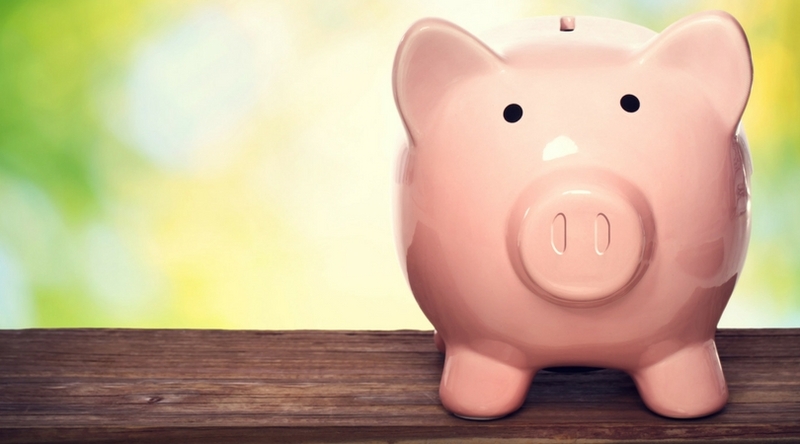 Maybe you’ve wanted to save money, but you just don’t know how. Or, maybe you’re sick and tired of living paycheck to paycheck, spending all you earn and digging yourself deeper into debt with each passing day. I’ve been there before. I’ve struggled. I’ve been in debt. But since I’ve learned how to budget, I’ve never had to worry about money ever again. Will a Monthly Budget Really Work? Why Should I Learn How to Budget? 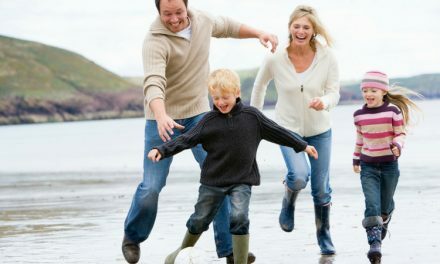 If you’ve been struggling with money, chances are that you’ve searched high and low for quick tricks and easy cures to cure your money woes. You’re not alone. Most of us have. Today, is the day we turn that all around! You see, the solution has always been right in front of us, and we’re going to unlock that path together! It actually quite simple once you get the hang of it. In fact, I believe it could change your life. Heck, it changed mine. 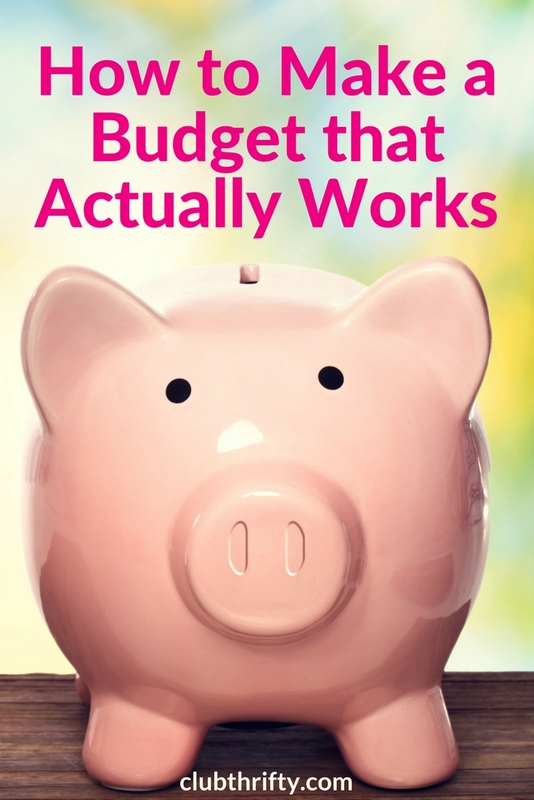 Here’s the secret: You need to create a budget that actually works. It sounds difficult, right? Trust me, it’s not. Today, you’re finally going learn how to budget in an easy, realistic way that will ease your financial pain and set you on the path to financial freedom. This budgeting process will help you manage your money properly so you’re not stuck scrambling at the end of every month. It’s a simple formula that anybody can execute and use to succeed. So, wherever you are on your financial journey, you’ve come to the right place. We’re super excited you’re here. Are you deep in debt and are desperate to find a way out? This guide will work for you. Do you a make a six-figure income but can’t figure out where all your money is going? This is the budgeting guide for you! Do you fall somewhere in between? Then this guide is for you. Learning how to budget your money is the most important financial skill you can master. Best of all, anybody can do it! If you can do these three things, I promise that you WILL see positive results! It gives you a clear, visual picture of where finances sit each month. It helps you to save money on the things that don’t matter so you can spend on the things that do. It teaches you financial discipline. Rather than making assumptions about how good (or bad) you are doing, budgeting requires you to face the actual facts of your financial situation. A budget creates a plan that dictates how your money will work for you. You will start to “find” money you didn’t know you had (or that you were spending). You will learn how to live within your means. You will be able to track and see the results. Most importantly, it gives you control over your money and your life. Now that we know why a monthly budget is important, let’s talk a little bit about what a budget actually is. A lot of people are scared off by budgeting because they think it’s too restrictive. They cling to the notion that starting a budget means they’ll never be able to buy what they want EVER AGAIN. Your monthly budget will help you get more of what you truly want, not less. A personal budget is a monthly financial plan for both your income and your spending. Basically, a budget helps us decide what we are going to do with the money we make each month. It helps us save money on the things that don’t matter so we have more to spend on the things that do. The great thing about making a budget is that it doesn’t take a lot of equipment to get started. All you need is a simple pen and paper. Sure, there are some really great financial tools and budgeting apps available (follow the link to find our top 10!). With that said, Holly and I still use a paper and pen to this day! Each month, we get out our spiral bound notebook, think about the month’s expenses and income, and get to work jotting it down. It only takes about 10 to 15 minutes, but it is the most important money discussion that we have each month. Just to prove how long we’ve been doing it this way, here’s a quick peek at a (really) old budget of ours. Notice that I said we do this every month. Why? Because it’s that important. A budget is a living, breathing document. You have to create a new one for every month. Each time the calendar rolls over, you’ll have different expenses to account for. Your budget needs to reflect this, so it is uber important that you update it every month. So, let’s grab that pen and paper and get to work! What you are about to learn is called a zero-based budgeting, sometimes referred to as a zero-sum budget. The goal of a zero-based budget is to ensure that your income and expenses are exactly balanced (“zeroed out”). You’ll do this on a monthly basis by giving every single dollar that you make a specific purpose. This is so important I’m gonna use some fancy bold and italics to drive home my point. Your income and your expenses should balance to the penny! You’re not rounding to the nearest $5. You’re not guessing that you’re gonna save about $200 this month. You are going to be specific. You are going to be exact. You are going give each and every dollar a job, tell it where to go, and take control of your financial life. You are in charge of your money, not the other way around. Budgeting is about details. If you take care of your pennies, you’ll never have to worry about your dollars again! Easy peasy, right? OK, let’s get started. The first step may be the most crucial step of all. In order to create a budget that works, you need to write it down. Let me repeat that: You need to write your budget down. It can’t be in your head. Keeping it there is a recipe for mistakes. It can’t be a guess. Guessing leaves too much room for error. You need to be exact. Your budget must be written down, clearly, so you can see it. Now, writing it down can mean many things. You can write it down on a sheet of paper, like we do. You can use a nifty little spreadsheet (which you can get by clicking below). Or, you’re feeling super fancy, you can even use an online app like Tiller to help you budget. It doesn’t matter how you write it down. What matters is that it is written down somewhere where you can physically see it…with your eyes! If you’re like most people, your income varies slightly from month to month. However, you want your numbers to be as exact as possible. Rather than estimate your future earnings, try using actual earnings instead! Eventually, you want to get far enough ahead that you can use last month’s income to pay this month’s bills. This is by far the most accurate way to budget. It’s also going to help break the cycle of living paycheck to paycheck. If you don’t have enough saved to make this happen, don’t panic. But, don’t pull a number out of thin air either. Simply use your last paycheck as the basis for that month’s earnings. Now, if you’re really strapped, you may need to get a little creative at first – especially if you get paid twice a month. If needed, adjust your budget so that you’re creating a separate budget for each paycheck. For instance, all of your bills due between the 1st-15th should come out of the paycheck you receive on the 1st. All expenses due between the 16-31 should come out of the paycheck you receive on the 15th. If you want to simplify things even further, contact your billing companies so that your expenses are equally distributed across your paychecks. Again, this isn’t ideal, but it can help you get started. After a few month’s, you should have enough saved to start paying this month’s bills with last month’s income. Hot Tip: Create your budget immediately after getting paid. This will make it super simple for you to figure out how much money you have to spend. So, at the top of your budget, go ahead and create a category for income. Add up all the money you made the previous month (or what you will make for the current month), and jot the number down there. Draw a line underneath it and move on to the next category. Immediately below your income category, create your first expense category: Savings. Yep, I want you to think of your savings as your very first – and most important – expense. Before you even think about paying anybody else, try paying yourself first. This is going to help place your focus where it needs to be – on saving rather than spending. If you don’t have an emergency fund, this is where you should start building one. (Saving 10% of your take home pay until you have at least $1,000 is a good place to start.) Here is where you’ll eventually fund cash savings, additional retirement accounts (like your Roth IRA), and college savings plans as well. Quick! Do it now before you calculate your expenses. Paying yourself first can help you save more than you ever thought possible! Alright, now it’s time to determine your expenses. Place this section directly below the savings section on your budget worksheet. First, break your expenses down into two categories: fixed and variable. It’s important to understand that “fixed” expenses aren’t always necessary expenses. Expenses like cable TV and your cell phone bill are optional expenses. Nevertheless, “fixed” means that they don’t change from month to month. Unfortunately, you’ll need to estimate these expenses on a month-to-month basis or as the need arises. Using last month’s bill tends to help you be as accurate as possible. When estimating variable expenses, be sure to leave a buffer! You always want to estimate a little bit high so you’re not scrambling to come up with the money later. Remember, also, that every expense for the month must fit into one of these categories. Every single penny you spend (and earn) must be accounted for! Good job! You’ve created all of your budget categories…but you’re not done yet. What to Do if You Have a Negative Number – If your equation balances to a negative number, you have overspent. You’ll need to make adjustments by cutting your expenses (preferable), cutting your savings (not preferable), or increasing your income by the amount you are negative. Once you’ve made the necessary adjustments, go back and run the equation again. What to Do if You Have a Positive Number – If your equation balances to a positive number, congratulations! You have extra money in your budget!!! Quick, go stash that money in your savings account before you’re tempted to spend it. Huzzah! You’ve just completed your first monthly budget. Congratulations!!! Now that you’ve got the template down pat, it will be even easier for you to complete it next month. If your budget fell apart this month, don’t worry. We’ve all failed with our budget at one point or another, and it usually takes some practice to get it right. The important thing is that you have the tools now to make it work. Keep at it, and you’ll work out the kinks in no time. As I mentioned before, all of us have failed with our budget at one time or another. Even me. It might take some time, but even you can learn how to stick to a budget. Here are some tips and tricks to help you get there. Write it Down – If you remember nothing else from this piece, remember this: Write. It. Down. Automate Your Savings – Think of your savings as an expense, your most important expense, and pay yourself first. You can even have the amount you want to save automatically deducted from your paycheck. Just have it directly deposited into an online savings account, and you’ll see an instant difference. Reward Yourself – When you reach certain savings goals, give yourself a pat on the back. It is OK to treat yourself sometimes, provided you plan for it in your budget. Be Kind to Yourself – If you go over budget, don’t beat yourself up. This is a marathon, not a sprint. Analyze where your mistakes were made, fix them, and give it your best shot next month. Be Honest and Realistic – Don’t fudge on your budget by underestimating or guessing at expenses. This will not work. Whenever possible, be exact. When it’s not, leave a cushion by slightly overestimating your expenses. Be honest about where your money is going, use realistic numbers, and you will see results. Creating a budget that works is just one of the tools you should have in your financial toolbox. Here are a few more accessories to consider that will help you make the most of your money. Now that you have a monthly budget, you need to make sure it works! Tracking your spending does just that. By tracking your spending, you’ll be able spot any holes in your budget, identify areas where you are overspending, and make budgeting adjustments as needed. Learn how to track your spending here. The most common cause of failed budgets are unexpected expenses. Unfortunately, these are bound to happen. The only thing you can do is make sure that you’re prepared. That’s why having an emergency fund is so important. An eFund helps you weather the storm and keeps your budget on track. By having money tucked away for emergencies, you can ride out any issues without destroying your savings goals. Learn how to start an emergency fund here. Personal Capital, has some great money tools and they are totally FREE! Try using their “cash flow tool” to automatically track your expenses and help you stick to a budget. They also have a free retirement calculator, an investment fee analyzer, a net worth tracker and more. Check out our complete Personal Capital review to learn more. There it is! Now, you know how to make a budget that really works. By following these steps, you’re well on your way to seizing control of your financial life! For us, taking control of our money meant that we were able to get out of debt. That led to us quitting our jobs, starting our own business, and traveling the world! Who knows where budgeting might lead you! To control your life, you must be in control of your money… and that begins with your budget. Now get after it, and start your first budget today! NextSeven Corners Travel Insurance Review: Is It Worth It? Great write up! There are so many people that need to see this, and live by it 🙂 . It must have been interesting to say the least living above the funeral home 🙂 . Thanks Kemmy! I hope people are able to get something out of it. It was interesting living above the funeral home, although it wasn’t that strange because I lived in one while I went to school. The thing about living at work is…well, you live at work. So, that gets to be a drain. However, it was great for one year, and it really gave us a step up on our finances. I really, really love this one! This is such a very great post for those who are planning to start a budget, but don’t know how to start doing it. Honestly, I just started to track down my income and expenses last month and I’m happy to see that it’s easier for me pin point in which part do I need to control my expenses. Honestly, budgeting turned our life around. It really did. If we hadn’t started budgeting, we’d still be in the same jobs, not traveling, and not saving any money. Now, we’re self-employed, have no debt (except for the mortgage), and we take about 10 trips a year. Budgeting was the catalyst for all of that! Shannon, your post made me remember the time when I learned how to budget. It was the the time when I was in college because I lived on my own. The experience itself taught me to manage my money well and I am glad that I learned it at a very young age. Learning how to budget at a young age can set you up for a lifetime of financial success! Good for you Jayson. It really is the easiest math you’ll ever do. Deciding to do it is the hardest part. Absolutely Kim. Deciding to do it and then really sticking to it. Great overview Greg. It really just starts with a pen and paper. Once you have it down you can began to plan and adjust. Absolutely. It isn’t complicated, but it can be difficult to start – especially if you don’t know how! This is super detailed with excellent points. I believe in paying yourself first too! I always first set our investment goal when I do the budget. It has really helped us stay on track to reach our money goals for the year. Thank you! Paying yourself first is the best way to see those savings goals pile up quickly. Very helpful post! We follow an annual budget, and stopped detailing expenses at the beginning of each month when we realized it didn’t make a difference for us. But we track our spending carefully & continually try to lower our costs, so this approach works for us. Perfect! There are a lot of ways to do a budget. For us, it has always been a zero-sum budget. However, if you have a way that works, rock it! I bet this will be one of your most popular posts! It’s never too late to start budgeting. These tips are very useful. My budget changed my life! Thanks Natalie! I hope people find it useful. Our budget changed our life too. That is why I’m so passionate about it. Excellent and very helpful post Greg! I think the restrictive myth is one of the biggest things that holds people back from starting a budget. When, in fact, it can be freeing if you manage it the right way. Like Natalie mentioned, starting a budget changed my life. Seeing those numbers on paper has a funny way of showing you just exactly what you’re doing with your money. It sure does. Actually seeing the numbers makes it feel a lot more real. And you’re totally right – a budget actually equals freedom when you do it properly. Our budget has given us more freedom than we ever imagined we could have! Yes! I love paper. This will be so helpful for people who are the fence about creating a budget. Great point about how budgets can be useful tools for finances and for living. Thank you ma’am! We keep it simple and stick with paper. We’re kinda old school like that. It’s easy and less intimidating for a lot of people. Plus, we just like to be able to have it in front of us and pull it out without going to a computer. A really helpful post! My husband and I do a zero based budget, although we tend to be quite generous in our category estimates. At the end of the month we take the leftover money and invest it. This is a good method for people who can’t be bothered to guess correctly. Thanks Hannah! Keep up the good (budgeting) work! Isn’t it awesome?!? Taking control of your money is such a liberating feeling! Budgeting is not rocket science. Too many people think that it is so difficult but it is really simple. Exercise self-control. Now….if I could just do that with dieting, I’d be in fabulous shape. Anyway, one thing a person must do before creating a budget is to track their spending for a period of time. Three or six months should be sufficient, but make sure it includes summer months and winter months in order to get a handle on heating and cooling bills. If you don’t know what you do spend, you’ll never know where you went wrong before. We don’t actually budget in the strictest sense of the word. We set spending goals, but if we’ve spent all of the grocery money with 4 days left in the month, and we are out of milk, well I certainly go and buy milk. To make up the difference, we don’t spend money on eating out the rest of the month, or the money comes out of the ever mysterious miscellaneous category. But we don’t beat ourselves up over it. Hey Kathy! Tracking your spending is an important part of taking control of your money. It sounds like you guys have found something that works well for you. Thanks for stopping by! In addition to an emergency fund, we also have a buffer fund of $1000. This is for anything that we cannot cover in the regular monthly budget such as unexpected car maintenance and repairs or medical and dental expenses. I think I have only had to use it once, but it sure did come in handy. I echo the belief that budgeting represents freedom and will change your life for the better, provided you give it a chance. So many people find excuses why it won’t work for them, but when you are ready to truly embrace budgeting and make changes, you’ll later wonder why you were so resistant in the first place. Absolutely! Rather than being restrictive, it just o;pens up so many more possibilities! We’re a little looser with our budget than most people, probably. In that we don’t have discrete spending for each and every category, like food. Because it became too stressful and exhausting. Instead, we have a weekly slush fund that I transfer in. That helps us moderate our spending without my having to worry about each and every grocery or fast food bill. Because yes, fast food is sadly just a fact of our lives and not going to change. I guess this sort of goes along with your point though: Anyone can budget, even people with special circumstances. Despite the loose monthly spending in that one area, I still sit down each month and list out the various places money is going: the weekly amounts, insurance, mortgage, taxes, emergency fund, vacation, etc. And at the end, anything left over goes into the savings account — thereby arriving at a zero-sum budget. Hooray! You’re absolutely right. Anybody can budget. While some budgets work better than others, being on a budget at all is better than not. My goal this month is to develop a budget. Initially, when I thought of developing my budget I did not think that paying myself first was as important as getting out of debt. I’ve been going back and forth on if I should contribute a little to savings and the remainder to debt or not save at all. This post was helpful. Hey Shirria! If it was me, I’d make sure to have a starter emergency fund fully stocked (about $1,000) and then use the rest to pound down my debt. More importantly, just get yourself on the budget. Starting can be the hardest part. Once you get started, you can make adjustments as needed. Good luck! Great post, Greg. And I love the infographic! You’ve made some excellent points. I think getting started with budgeting can be the hardest part of a lot of people. Sort of like dieting! But once you’ve started, you’ll become motivated by your progress. And you’ll want to keep going. I think that is absolutely true, Kate. If you can just get started and see some progress, it really becomes (almost) addictive. Yes! Awesome post – and super nice to have it all laid out there. I have to say though that this was my favorite part: Alotta Excuses Haha! Being honest is SO important! Our first budget I tried to tell myself we’d never eat out…when in fact I knew we totally would sometimes…so we failed. The only thing I would add is that slashing isnt the only way- we chose to earn more as well as slash to keep some things we wanted. Slashing definitely isn’t the only way. Making more money definitely helps! This is really helpful! I only recently started budgeting and this post helps improve the process! Thank you! Absolutely! Thanks for stopping by and I’m glad you found it helpful. Thanks Richard! Writing it down is so important. Your financial situation becomes some much more concrete when you can see it in black and white in front of you. Ow, budgeting! This is one of the hardest skill I need to learn because even though I make a budget, there’s still something that goes beyond of it and missing. In short, I end up not saving anything. I think I gotta need a tool or use a spreadsheet. Hope either of these two works. Thanks for this post Greg. The funeral house story was a bit scary but kudos to you guys for staying there and limiting your expenses. It\’s all about perspective – bearing with a trimmed-down lifestyle with limited eating-out and minimal expenses AND making cumbersome monthly budgets, is all easy if you think about the greener pastures waiting for you at the end of your struggle. It does feel great to not have money troubles and budgeting is the most important tool available in this journey. Great work! I love the fact that you point out that budgeting is an iterative process that starts with paying yourself first! The next step to follow would be to allocate your savings appropriately: Emergency Fund, Retirement, Short Term Investments, etc. Well done! This is awesome! We are in the process of restructuring our finances and I am definitely Alotta Excuses 🙂 I am going to embark on a plan today. Thanks for the inspiration, I am looking forward to reading more posts! Good luck with your new plan, and we hope to see you back here soon! I love this post. 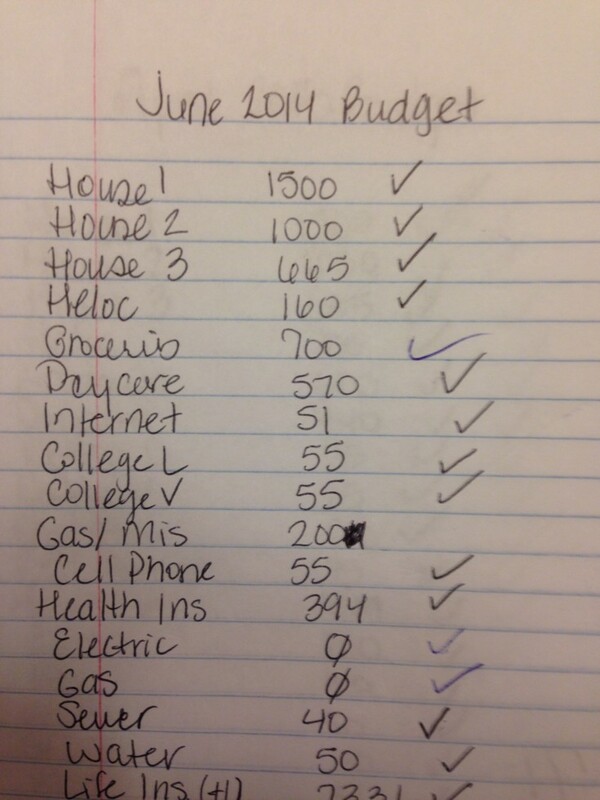 The steps laid out for creating a budget is easy…all you need is a pen and paper. Fo real! So true! Just bust out that pen and paper and get to work, yo! My husband and I still budget like this. While we actually track via online (using one of the many online budgeting tools that are offered) we make sure to sit down once a month and “write” down everything we need to pay for in the upcoming month. From there, we track every single penny. It’s been so freeing to see how our savings has grown, debt has been paid off, and how we have more money than month. Thanks for sharing! here’s a really entertaining and informational video on how to save money quickly! hope it helps! I really like how anybody with any amount of money can start saving using this method and build their rainy day fund!